TEL AVIV (Reuters) - In the high-tech hub of Tel Aviv, where companies have been responsible for ground-breaking advances like the USB stick, Or Offer never thought it would be hard to find workers for his fast-growing Internet data firm SimilarWeb. But an alarming lack of engineers, technicians and even doctors, which is jeopardizing Israel's place among the world's technological elite, sent him looking abroad. "There's a brutal fight over skilled employees," said Offer, whose company has quadrupled in size in the past two years, hiring over 200 new people. To boost the technical side of the business that analyses website data, he set up a development centre in Ukraine. Without the huge populations of emerging markets like India or the vast network of foreigners who call Silicon Valley home, Israel's high tech enterprise seems to have dried out the well. Over the next decade it will face a shortage of about 10,000 engineers and programmers in a market that currently employs 140,000, according to the country's chief scientist, Avi Hasson, who is the government's point man on sustaining innovation. "The issue of skilled and available manpower is the main barrier to growth and competitiveness in the field of high tech," Hasson said. The industry, which sprouted from an advanced military and flourished with state backing, became a major growth engine and investment magnet for Israel. Multinationals like Apple, Intel and Google have been eager to snap up local start-ups and set up research centres. High-tech goods and services now account for 12.5 percent of Israel's gross domestic product and half its industrial exports. 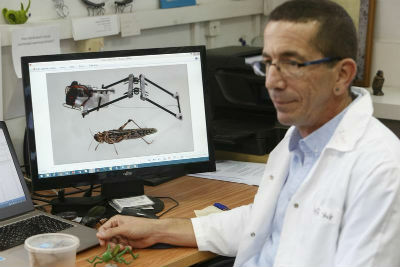 Younger firms are noticing the skills problem as they compete for workers with the global giants operating in Israel. "There are a lot of international players around, coming in with deep pockets. Facebook, Google and others can make offers 50 percent above market and equity packages that are very lucrative," said Nir Zohar, president of website-designer Wix.com <WIX.O>, which is known for its big-budget Super Bowl ads. "It's becoming harder and harder with the amount of effort you need to put in to recruit." Since taking office in 2013, Bank of Israel Governor Karnit Flug has been sounding the alarm over the threat to Israel's pool of "human capital". An ageing population, lagging education and poor integration of Israel's Arab and ultra-Orthodox Jewish minorities in the labour market is making the workforce less effective, she said in a May speech. Combined, Israeli Arabs and ultra-Orthodox Jews make up about 30 percent of the population. Nearly half the country's doctors, for example, are 55 or older — the highest figure in the Western world — while the rate of students completing medical school is among the lowest. University graduates in maths and computer science fell to 1,600 in 2008 from 3,000 in 2005. The figure has recovered, but not returned to prior levels. Israel is ranked 17 among the 34 members of the OECD in the ease of finding skilled workers. Tech companies prospered for years by tapping into the skills of workers trained in the military or intelligence sectors and start-ups benefiting from tax breaks and government funding. But those are drying up. Two years ago Israel lost the top spot it held for more than a decade among the OECD when it comes to investment in research and development, mainly due to a steep drop in government investment. South Korea is now top of the tree. Ultra-Orthodox Jews and Arabs rarely serve in the military and are marginalized from the high tech industry. The government is now implementing a number of programmers to include them, like improving language skills and special training. Feeling the heat, firms have been fighting to bring in qualified foreigners to ease the stress. "In Israel, to get a work permit is harder than to make peace," said Eldad Tamir, head of the Tamir Fishman Investment House and a partner in Eucalyptus Growth Capital, a fund that invests in high tech companies. Tamir's partner in Eucalyptus, David Perlmutter, former chief product officer at Intel, lamented that Israel imports labour for agriculture and construction but not for technology. "If you look at other countries that want to develop, they bring in workers. All of Silicon Valley is based on that. Here it doesn’t happen," he said. Nearly 75 percent of computer and math workers aged 25-44 employed in California's Silicon Valley are foreign-born, according to the Silicon Valley Institute for Regional Studies. In the 1990s, the influx of one million immigrants from the former Soviet Union helped fuel Israel's high-tech boom. Today about 30,000 people arrive annually, but it is not enough to meet the demands of the growing industry. "Israel was built in a very homogenous way in terms of our innovation ecosystem. We did import talent, but only Jewish talent," and that needs to change, said Hasson. Only an "anecdotal" number of foreign high tech workers are being brought in today, Hasson said, referring to a smattering of cases like the U.S.-born CEO of TowerJazz <TSEM.O> who over the past decade helped turn around the ailing chipmaker. He said Israel would soon begin a pilot for issuing a few hundred work visas a year, but it's unlikely to be enough.